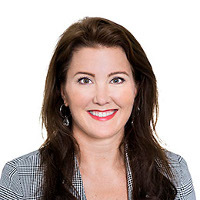 Anna Maria Lagerqvist Gahm is part of a team with global corporate responsibility for all IP related matters within Volvo Cars, working closely with R&D, strategic product planning, marketing, purchasing, and the legal department. She is head of IP litigation and member of a cross-functional core business team coordinating all alliances within Volvo Cars and building up and negotiating cooperation agreements with external partners. She has 15-plus years of experience in IP, contracting and licensing and is a speaker in international IP forums and a lecturer at university level.